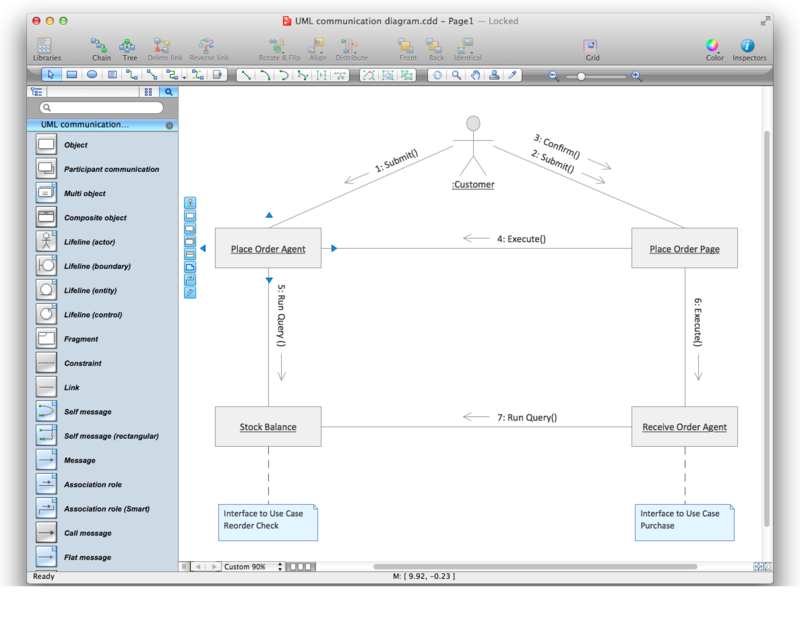 ConceptDraw helps you to start designing your own UML Communication Diagrams with examples and templates. You can use the appropriate stencils of UML notation for drawing UML Communication Diagram. 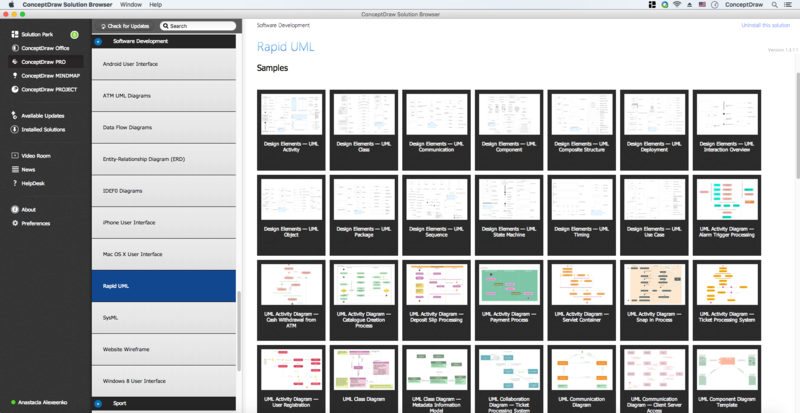 ConceptDraw Rapid UML solution delivers libraries contain pre-designed objects fit UML notation, and ready to draw professional UML Communication Diagram. 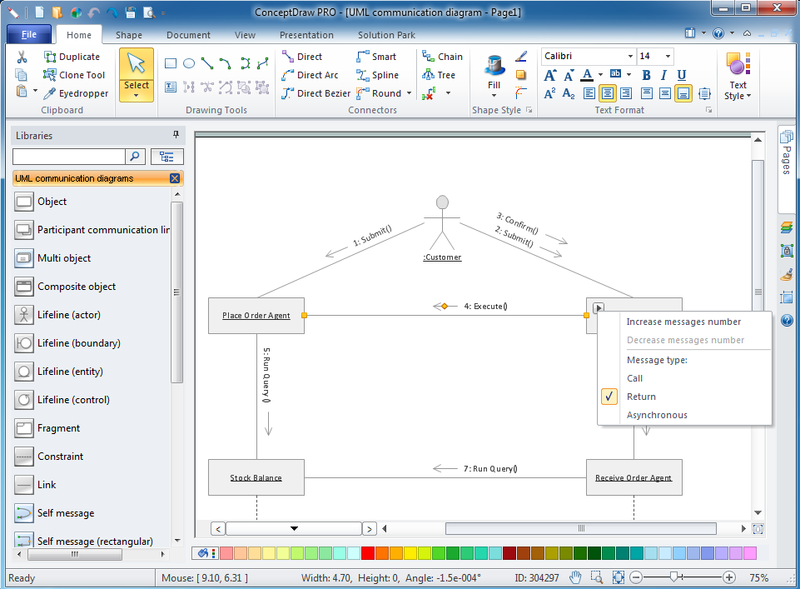 ConceptDraw DIAGRAM workspace is clear and simple. 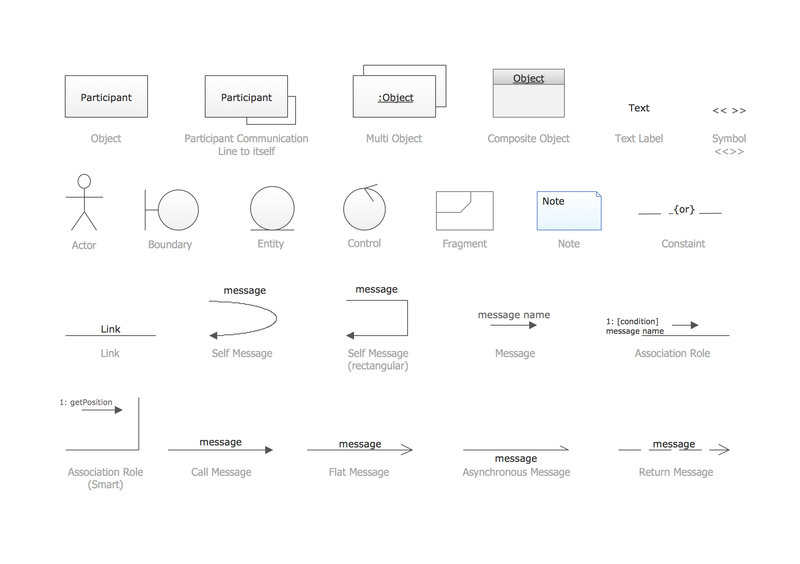 All tools you need for drawing UML Communication Diagram are on hand. 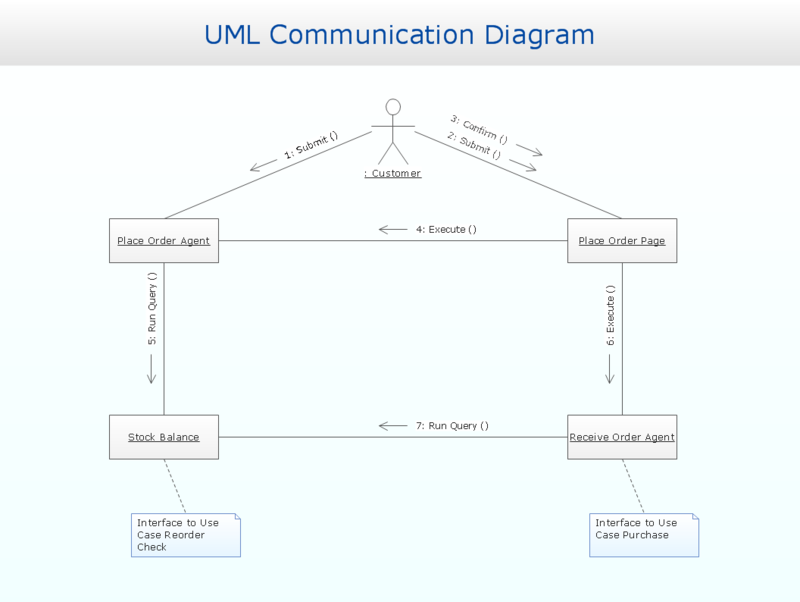 This is an example of UML Communication Diagram for an process.